Let’s get one thing straight: I’m not interested in the burger “craze”. I’m interested in burgers. Honestly, every time that I write the word “burger”, I can feel the snark boiling up inside myself. Like many of you, I’ll be glad to see the craze die down so that this dish can lose the sense of cliché that it has developed as of late and return to what it has been for the last 100 years: Just plain awesome. They’ve been popular for a long time – yes, even before there was a Shake Shack in New York – and once the bandwagon hopping fervor has calmed, they will remain one of our favorite dishes. 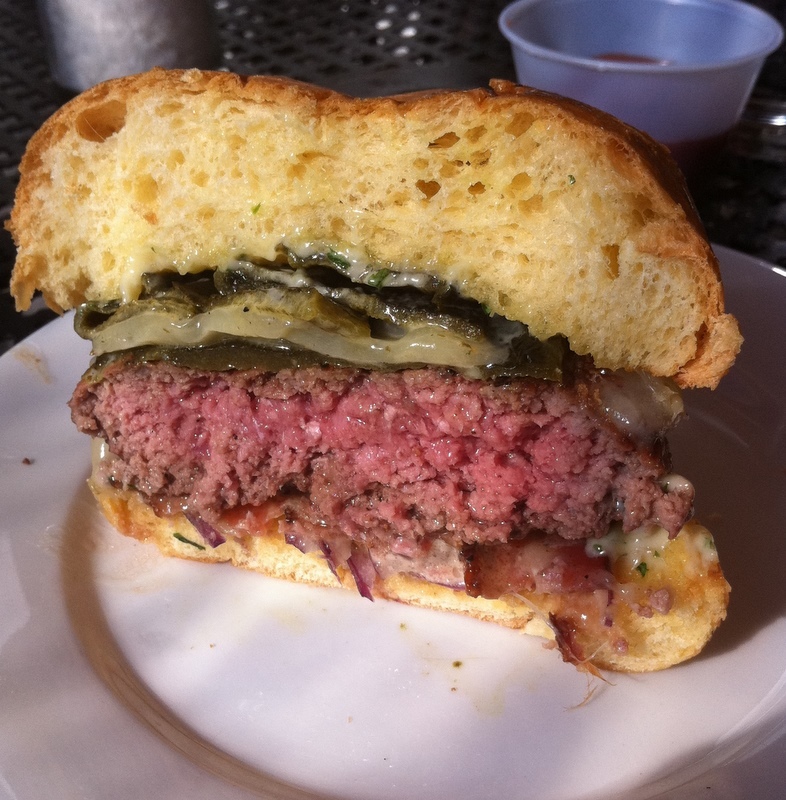 Some of you may remember that John Kessler began a burger search earlier this year that evolved into his “Burger of the week” segment. Thanks to over 200 comments from our readers, John was armed with more potential burgers to try than one man could hope to get through. However, duty called and John moved back to the head of the reviewing table, and now this charge should pass on to little ole’ me. This entry was posted in AJC Food and More, Atlanta Dining and tagged AJC, Atlanta, Beef, Burger, Muss & Turner's, Smyrna, Vinings. Bookmark the permalink. Post a comment or leave a trackback: Trackback URL.